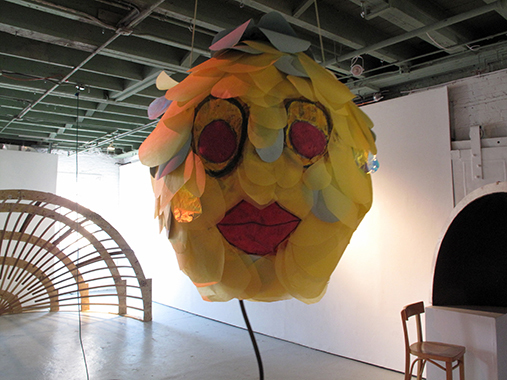 Electroacoustic Piñata at the Flux Factory from Caitlin Foley on Vimeo. I have made many piñatas which are usually used during a celebratory event, marking a specific occasion. These piñatas provide an outlet for an enthusiastic release of energy. Appreciation for the beauty of the object itself is perhaps increased because of its ephemeral nature. 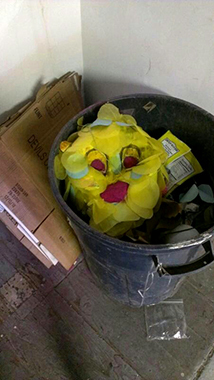 This sonically prepared piñata was created for a Flux Thursday by Nat Roe, Misha Rabinovich, Danny Crump (Master of Ceremonies) and myself. Our Electroacoustic Piñata amplified the function of the piñata. The surprising sounds produced when the piñata was hit activated a social space where everyone in the room felt the vibrations each time contact was made. Flux Thursday is free public event at the Flux Factory in Long Island City, Queens NY that happens every second Thursday of every month. Check it out!